Yesterday in a special ceremony in Robinson Science Hall at Whitworth University, trustee and alumnus Dave Myers, ’64, and his wife, alumna Carol (Peterkin) Myers, ’65, pledged to fund a new endowed professorship named in honor of Carol’s grandmother Amy M. (Johns) Ryan. Ryan attended Whitworth from 1894-97, when the school occupied its original location in Sumner, Wash. The Myers’ gift will create a professorship within Whitworth's College of Arts & Sciences and will contribute to the university’s endowment. 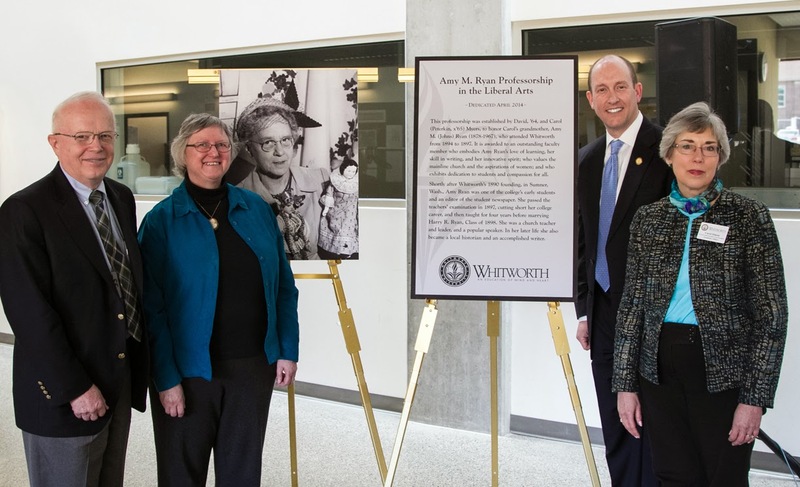 The professorship will be awarded to an outstanding faculty member who embodies Amy Ryan’s love of learning, her skill in writing, and her innovative spirit; who values the mainline church and the aspirations of women; and who exhibits dedication to students and compassion for all. Ryan was born in Farmington, Iowa, in 1878. In 1890, her family moved west and eventually settled in Sumner, Wash. After finishing high school, Ryan wished to attend the newly founded Whitworth College, but she found it would be impossible for her family to pay the $12-per-semester tuition. At her mother’s suggestion, Ryan offered to pay her tuition with bales of hay, butter, and eggs. The college accepted her offer. Amy was an editor of Whitworth’s student newspaper. 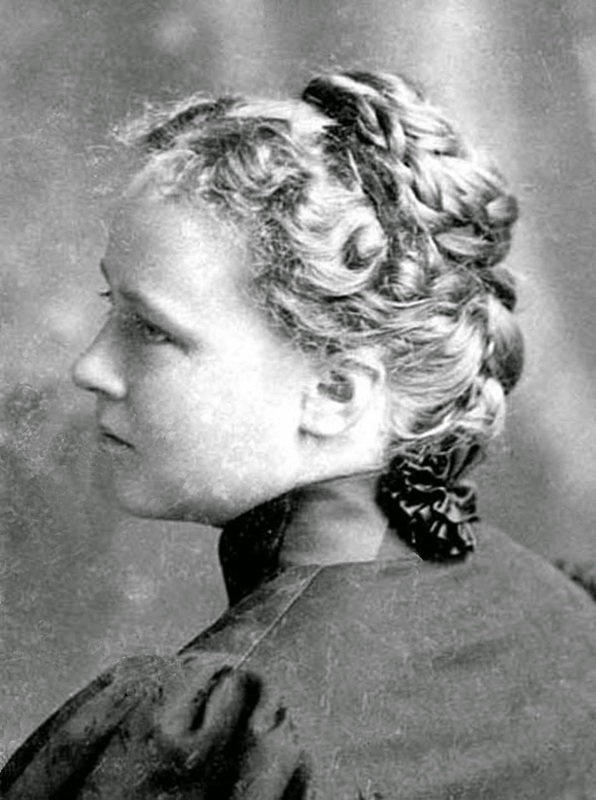 She passed the teachers’ examination in 1897, cutting short her college career, and then taught for four years before marrying Harry R. Ryan, Class of 1898. She was Sunday School superintendent of Sumner Presbyterian Church for 25 years, served as young people’s secretary and president of the Spokane Presbyterial, and president of the Olympia Presbyterial, and she served on the Presbyterian Church’s Board of National Missions and Board of Foreign Missions. Dave Myers says the endowed professorship celebrates what Whitworth means to Carol and himself; the institution enabled both of them to go places they “never imagined” after their time as students. “The endowment supports a university that is committed to an identity that, because of its faith tradition, is committed to the open, courageous, free-spirited pursuit of truth,” Dave says. Noelle Wiersma, dean for the College of Arts & Sciences, Whitworth University, (509) 777-4874 or nwiersma@whitworth.edu.